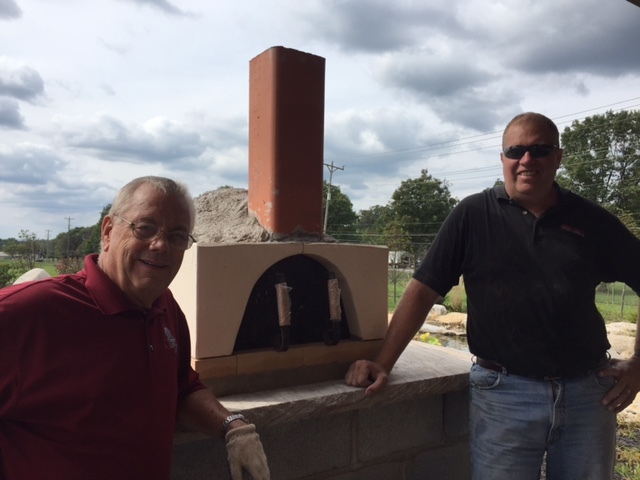 The New Style 24″ Oven is designed to be easy and fast to install. 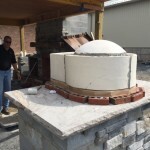 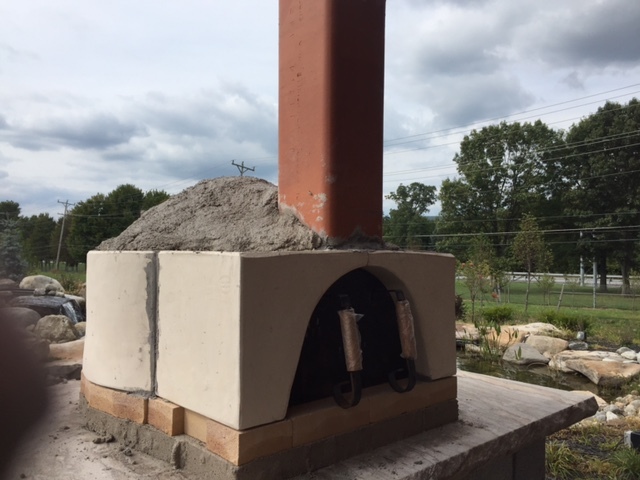 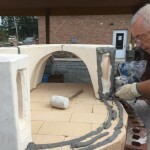 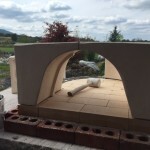 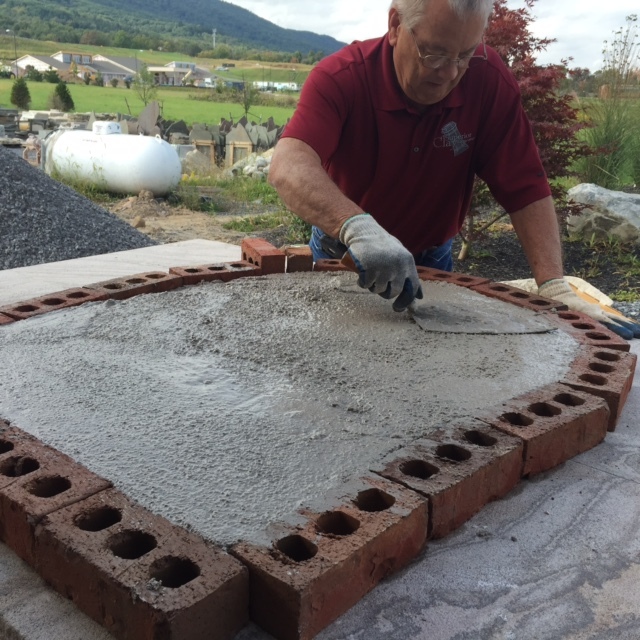 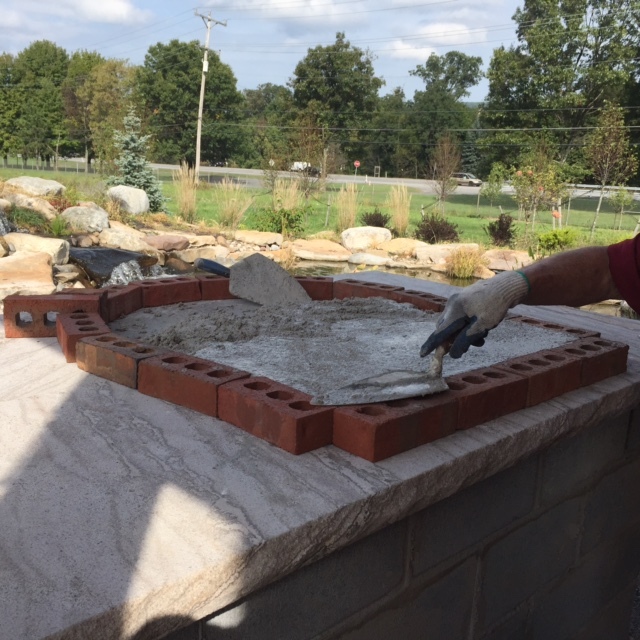 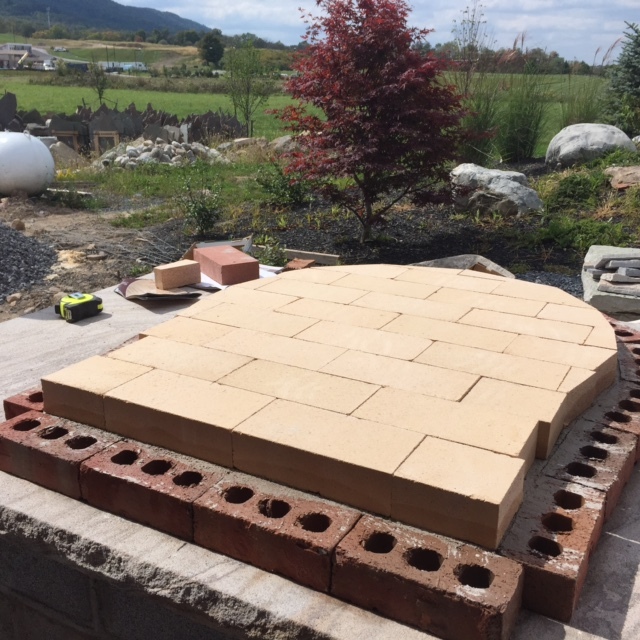 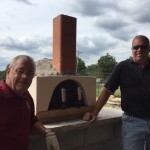 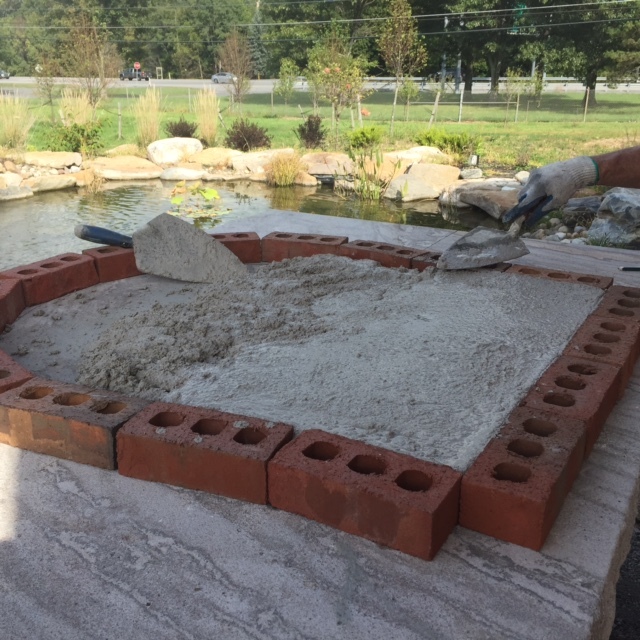 We had the privilege of assisting one of our customers, Bricks and Stones Supply, of Boalsburg, PA, while they put one of our ovens in as a display model. 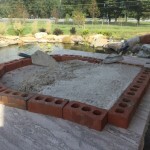 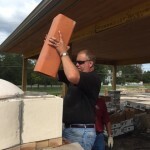 Make a form for the base insulation, 2″ thick. Mix a bag, or as much as needed of your Insul Cast. 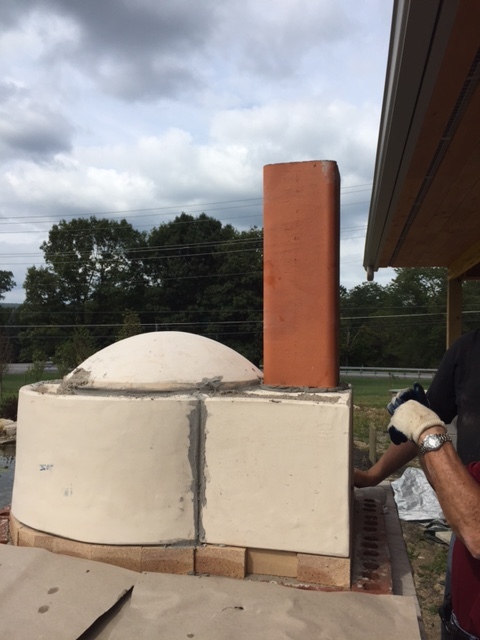 Allow to dry for 24 hours for best results. 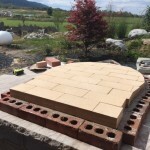 Lay your firebrick floor directly on the Insulcast base. 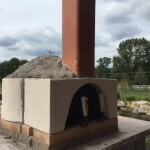 Dry fit your oven components. Once in position, you can grout the walls, tunnel entrance and dome. 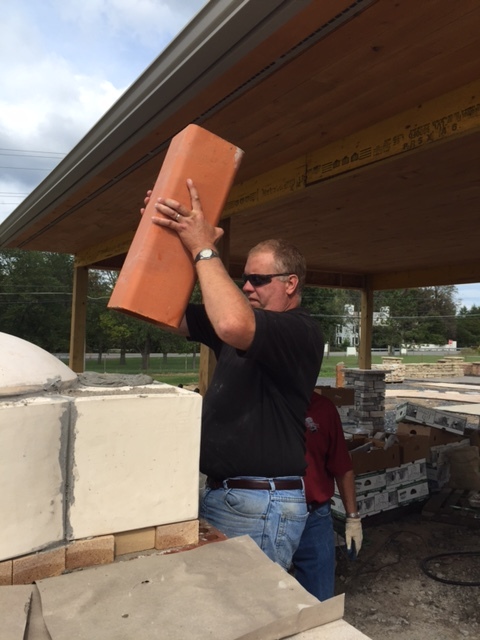 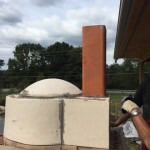 Start your flue and fill the cores of the side walls with the remaining Insulcast. 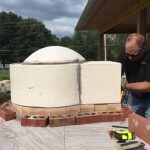 Cover the dome with at least 2″ of the Insulcast.